Ahoy mateys! Join us for a fun weekend of high seas adventures. On Friday, create your own Jolly Roger pirate flag to help decorate your campsite and join us at the upper pool for a Glow in the Dark Pool party! 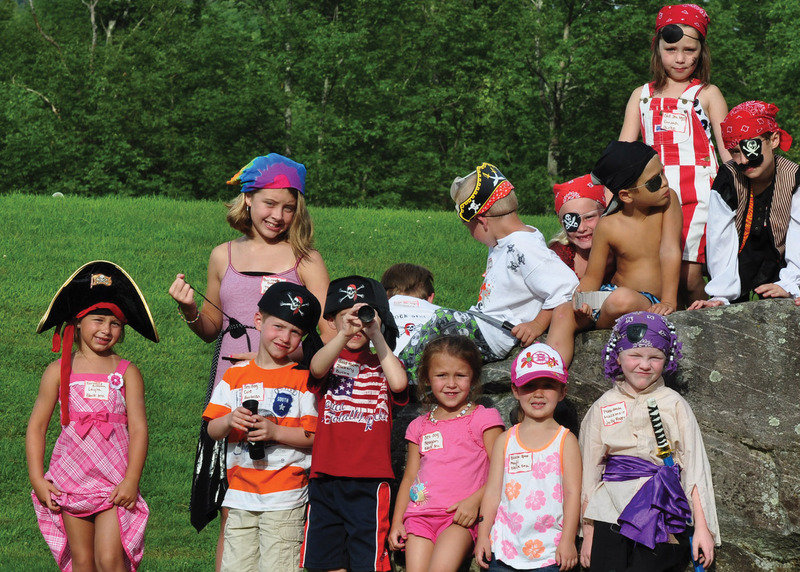 Bring your pirate gear for Saturday’s Pirate Parade and treasure hunt. 6:30 Hay wagon ride. Sing your favorite sea shanty as we tour the campground. Stowaways beware; this hay wagon ride is for pirates only! Meet by the lower pool. 7:30 Create your own Jolly Roger or pirate flag for you landlubbers. There are also loot bags to decorate. Join us at the pavilion. 8:30 Swap pirate tales with your mateys around the campfire and roast some marshmallows. All you need to bring is your pirate tale and a stick, we provide the rest. 5:30 Hay wagon ride. Sing your favorite sea shanty as we tour the campground. Stowaways beware; this hay wagon ride is for pirates only! Meet by the lower pool. 6:00 Pirate parade! Grab your peg leg and eye patch and join us for a pirate parade! Come dressed in your best pirate gear and join your mateys. Meet at the pavilion. 7:00 Treasure hunt and pirate games! Join us as we sail the seven seas for treasure. Don’t forget to bring your loot bag. After we’ve found the treasure, we’ll meet back at the pavilion for more pirate games. 8:00 Build your own S’mores. We provide the graham crackers and marshmallows; all you need is chocolate and a stick. Meet at the campfire circle.